NDIS provides individual care plans that cover a range of services types. Necessary services are identified when creating this plan. 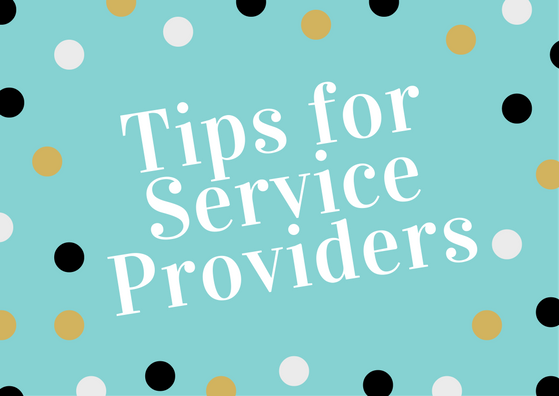 When potential clients search for a provider that can supply the service identified and necessary, being easy to find will help you attract clients. Ensuring your services are consistent with the service types provided under the NDIS will make you easier to find through a quick Google Search. The NDIS isn’t just confusing for providers to navigate, but also for those using the services. Offering additional services that help potential clients find out more about NDIS, what it means for them, and plan their goals will position you as trustworthy, reliable, and competent. Furthermore, you might end up attracting clients simply because you provided easy access to information they were searching for. NDIS offers multiple options for the management of the plans, including the NDIA, a third party provider, or self-managed plans. One of these options is you, the third party provider. Management of plans involves tasks such assistance developing the plan and budget; getting quotes; managing bills; finding providers to fulfil a desired service; and booking providers. You’re probably wondering why you would add additional complications to a process that is already quite complex. The benefit is in attracting clients to your company, and that individuals that have a good experience in the management of their plan may be more likely to obtain their services through you.